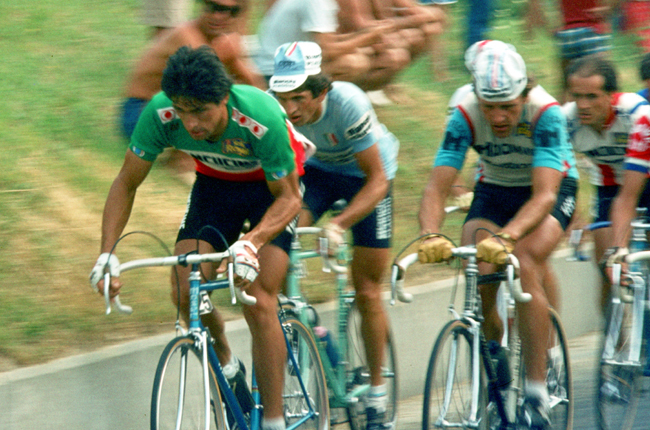 Francesco Moser (born June 19, 1951) was the most gifted and driven of the four cycling Moser brothers (the others were Aldo, Enzo and Diego). 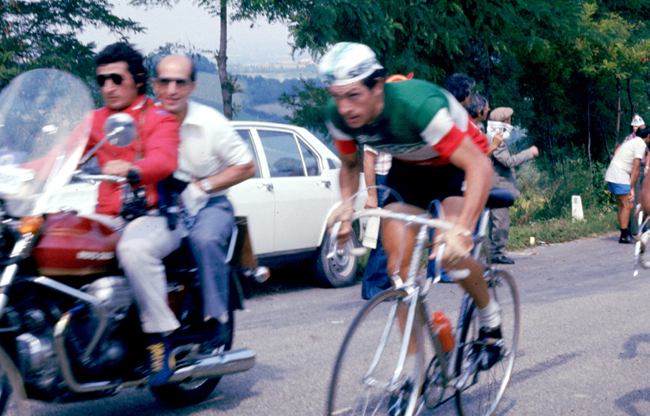 After winning the Girobio (the amateur Giro d'Italia) in 1971, the cycling world knew a fine talent was coming to the professional ranks. 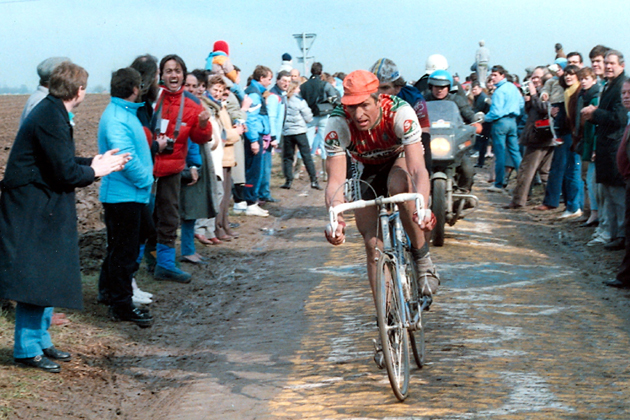 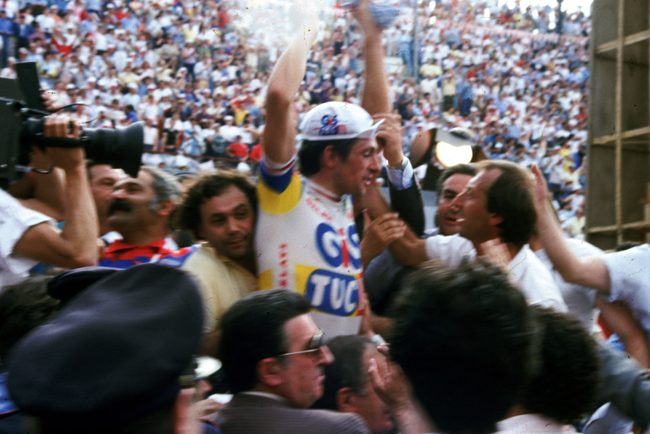 His abilites were made clear in just his second year as a professional (1974) when he won Paris-Tours, the Tours of Emilia, Tuscany and Piedmont, was second in Paris-Roubaix and seventh in the Giro d'Italia and the World Championships. 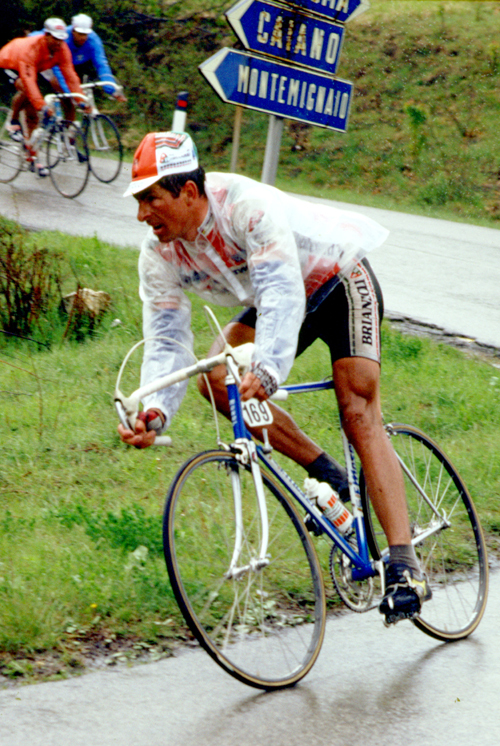 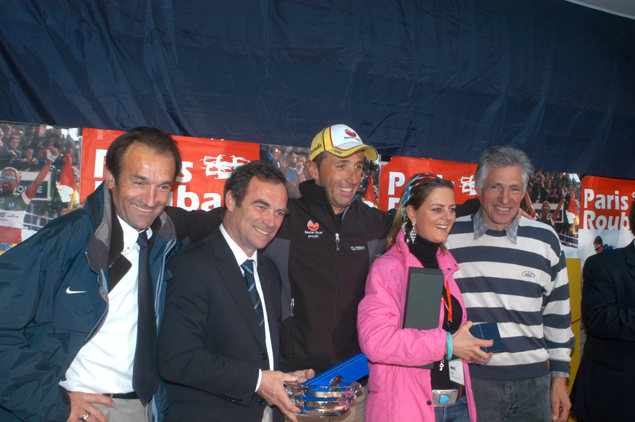 He was one of the most accomplished and winning riders of his generation. 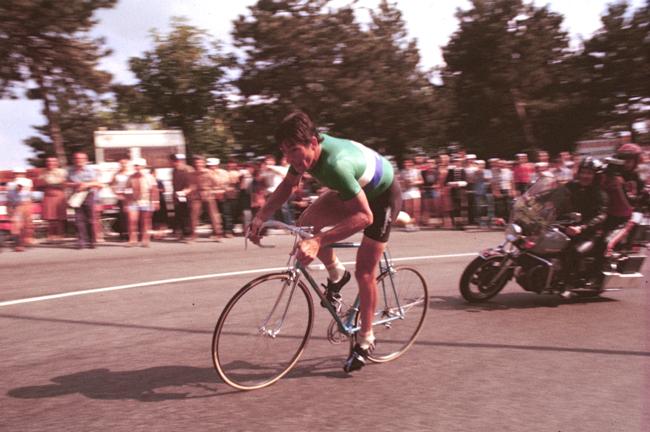 He went on to win the World Road Championship, the Giro d'Italia, Paris-Roubaix three times and was the World Hour Record holder for years. 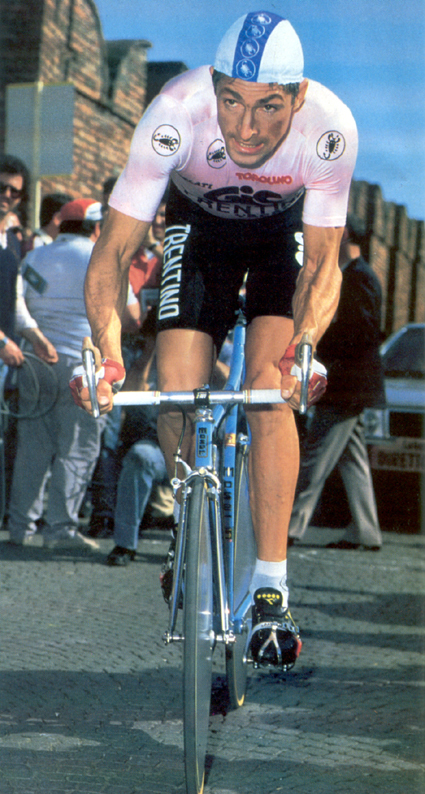 Eventually the UCI created a seperate category for Hour Records gained with aerodynamic equipment such as what Moser used in 1984. 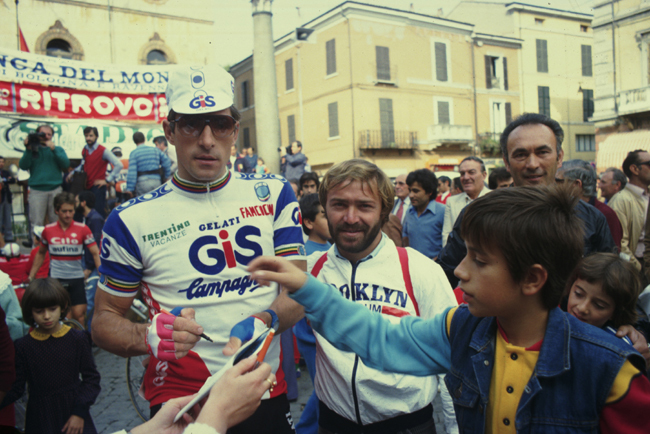 His long-lasting feud with Giuseppe Saronni was the last great Italian cycling rivalry. 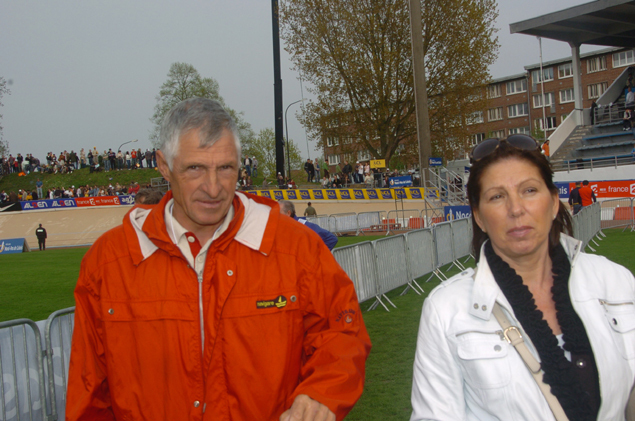 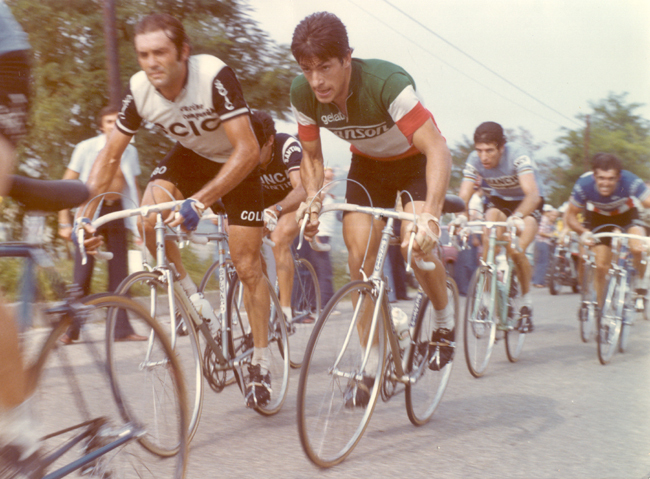 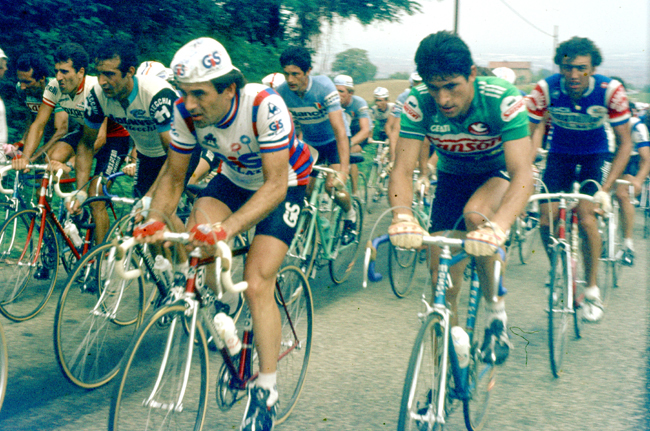 There were also sparks between Moser and Roger de Vlaeminck, especially after they were both on the Sanson team in 1978. 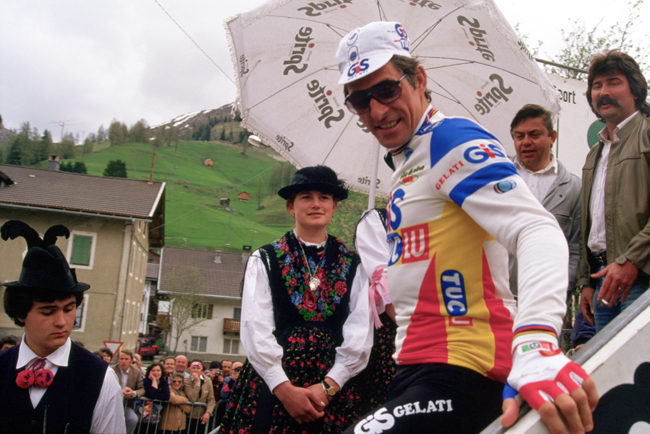 Moser was a big, powerful man who could dominate Classics and time trials, but was at a disadvantage in the high mountains. 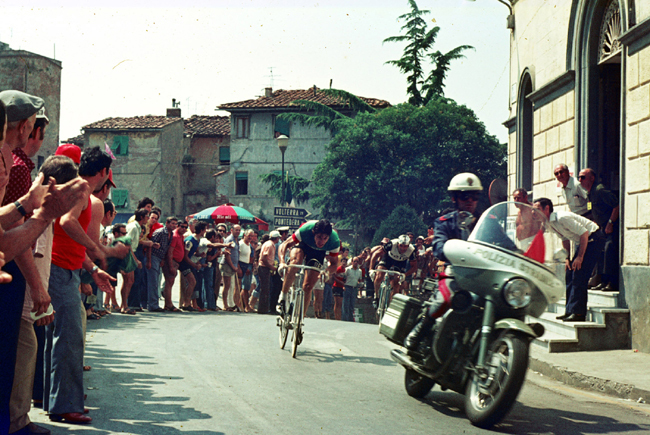 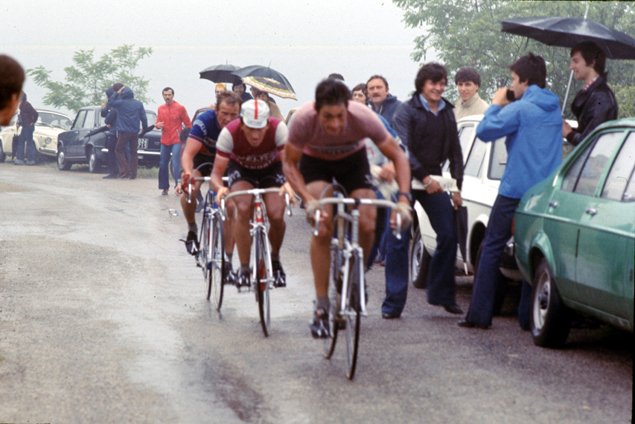 1979 Giro d'Italia, stage 6: Moser time trial up to San Marino. 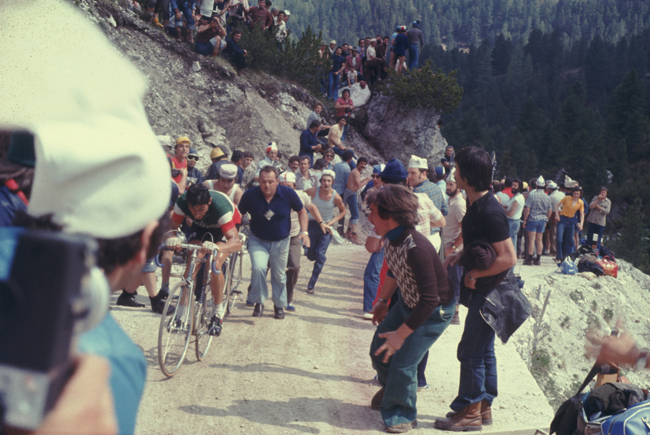 Stage 20 of the 1984 Giro. 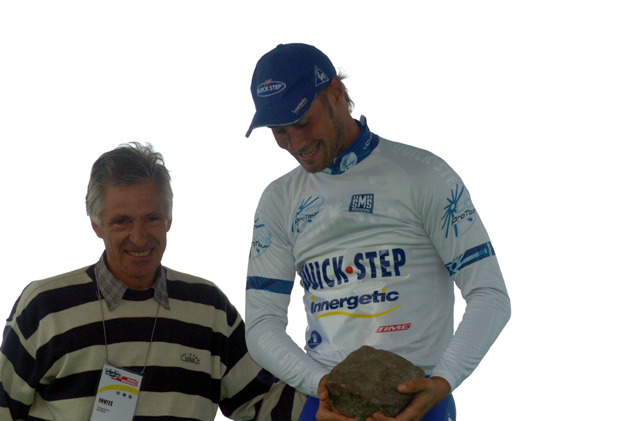 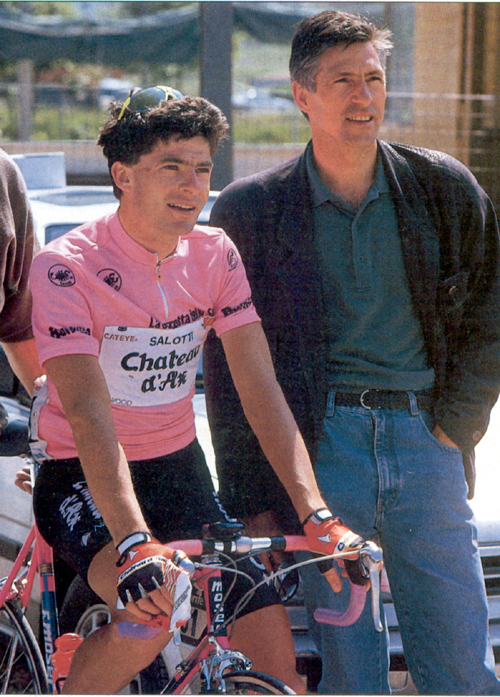 This might be after the stage because Moser started it in pink. 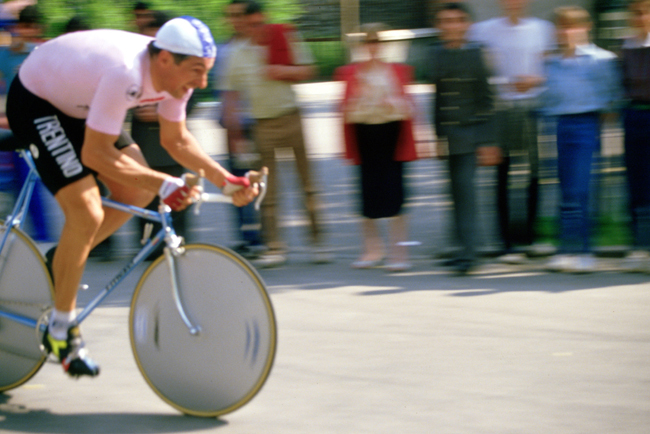 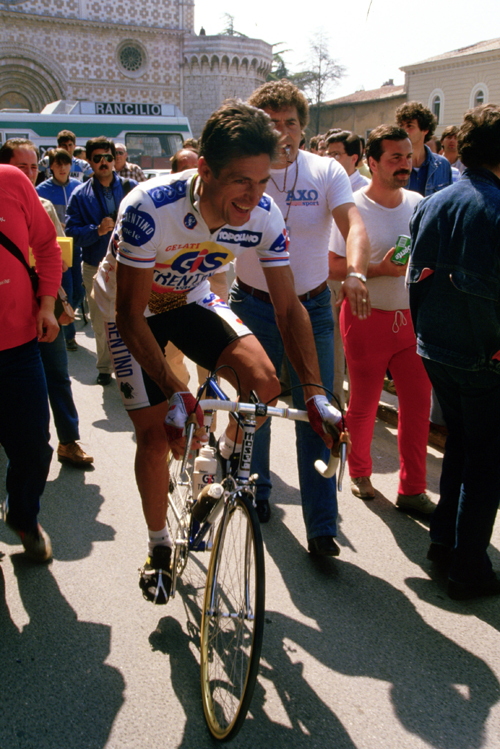 Moser has just won the 1984 Giro d'Italia. 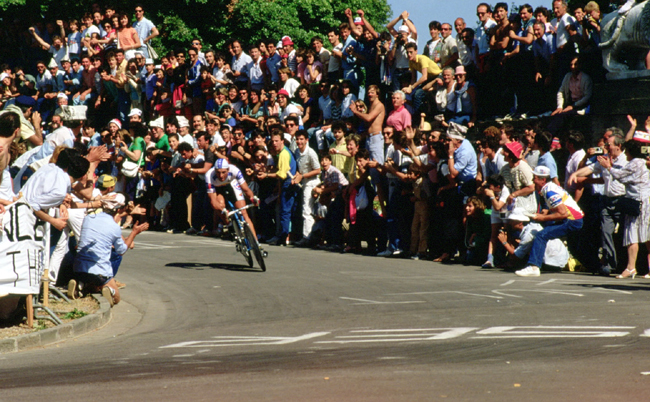 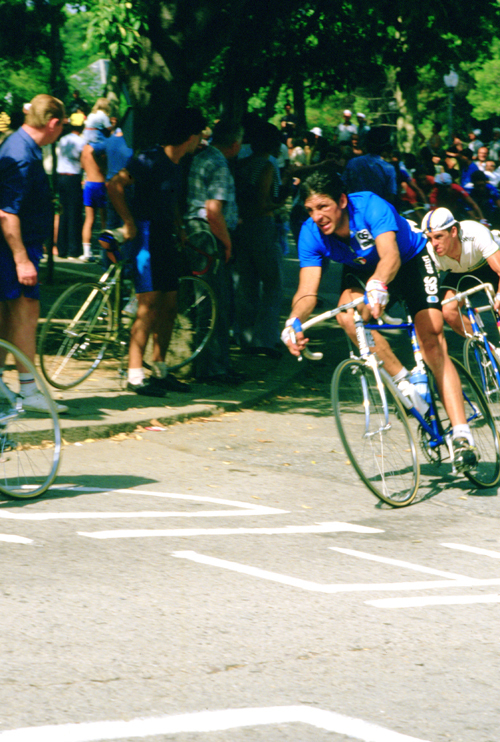 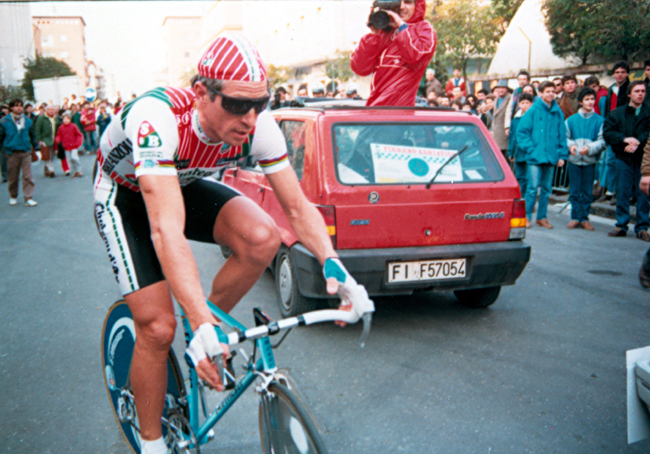 Moser riding the 1984 Barcelona World Road Championships. 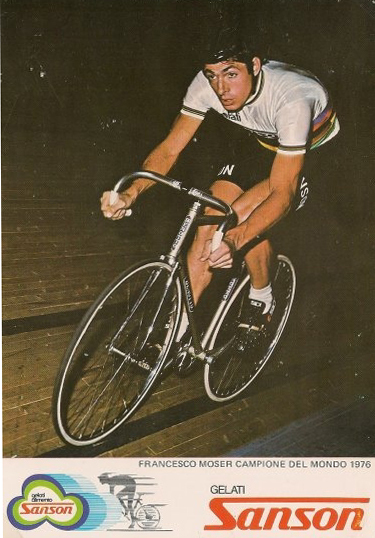 That looks like Phil Anderson on his wheel. 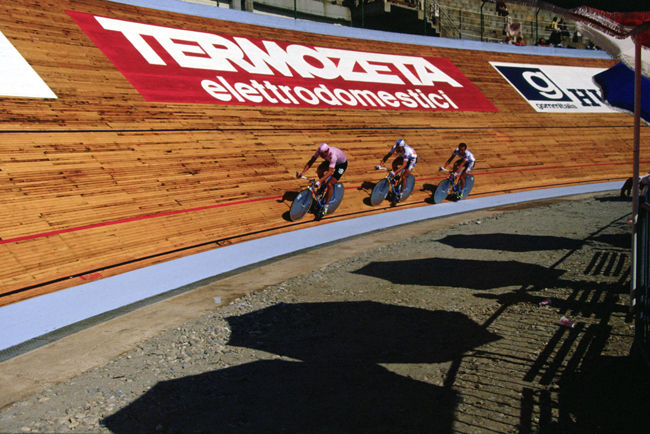 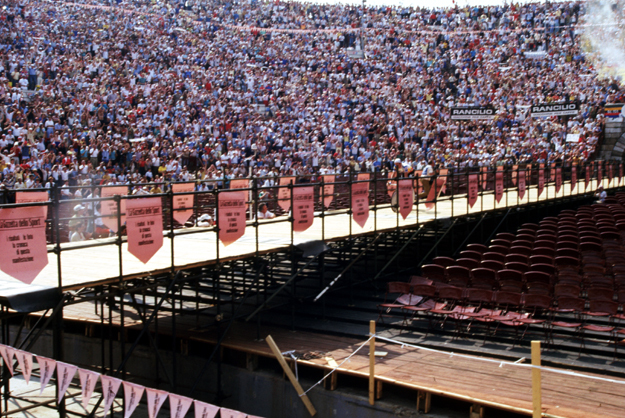 Stage 2 of the 1985 Giro was a team time trial ending on the Vigorelli velodrome. 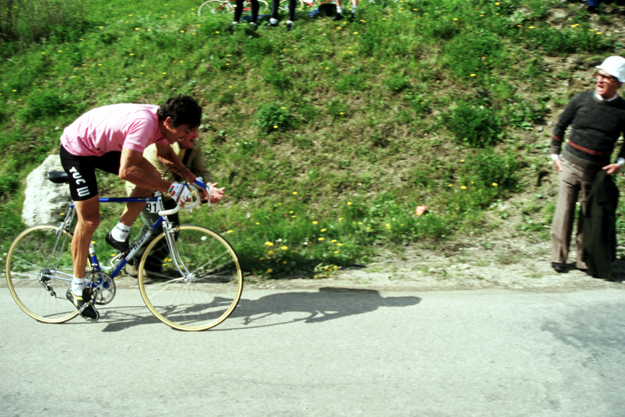 Here Moser in pink leads. 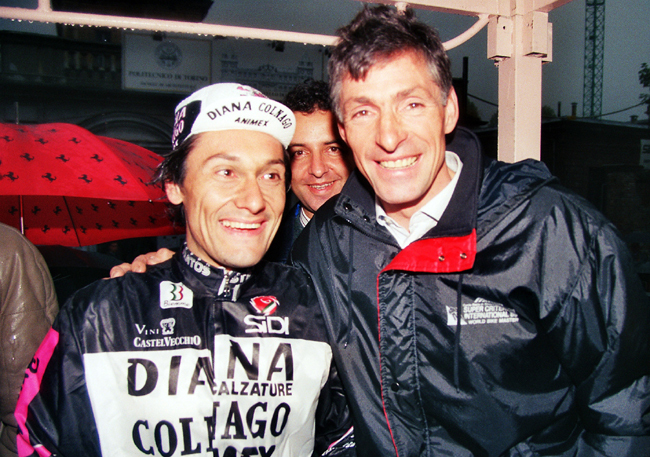 Old rivals. 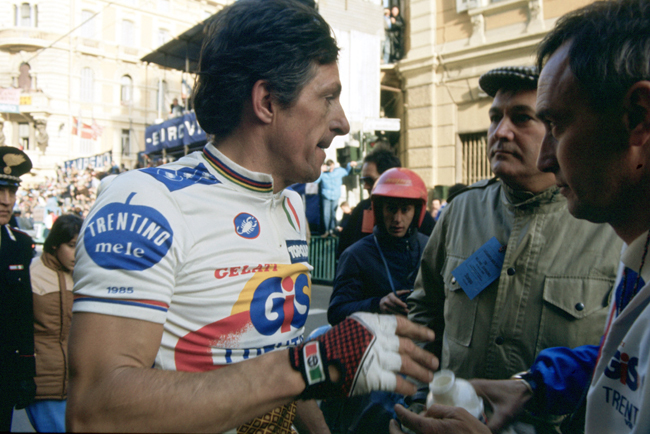 Giuseppe Saronni and Francesco Moser at the 1990 Milano-Torino.